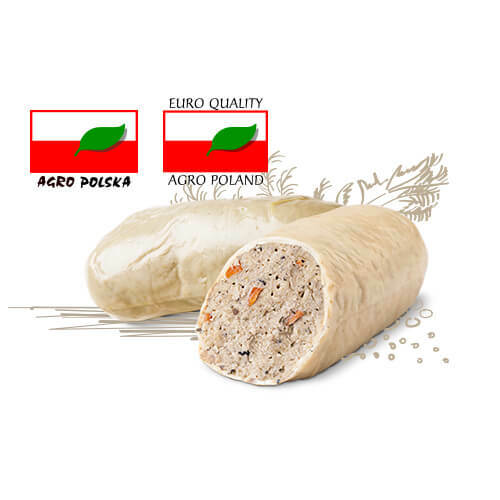 Magnificent offal sausages from BACÓWKA continuously gain new fans. They delight with a wonderful aroma, taste delicious and they are easy to spread on bread. They owe their unique character to the highest quality ingredients and selected spices. 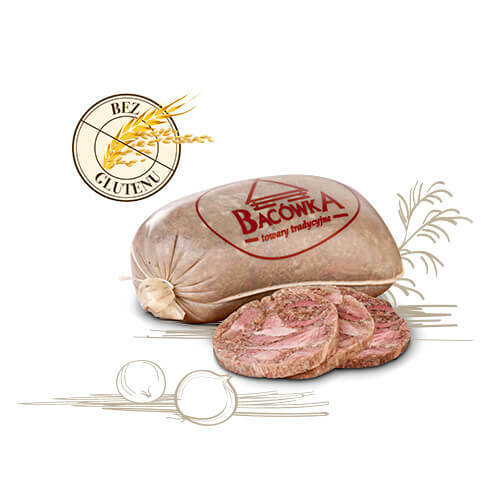 Classic brawn made with high quality pork offal. 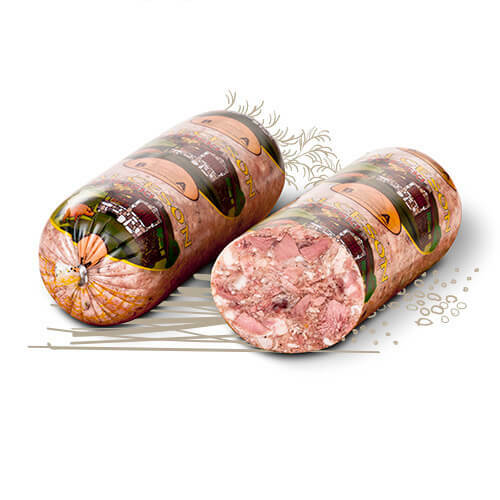 Skilfully spiced by a sausage master it has an authentic homemade country sausage taste. 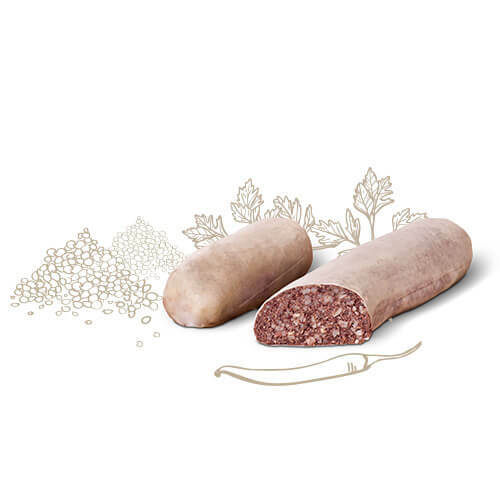 Krupniocki black pudding has an established position in all Silesian homes for any occasion. 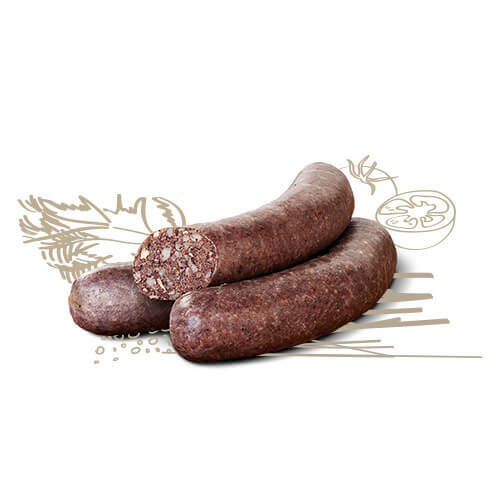 Made with barley according to a well-tested recipe tastes great both roasted and grilled. Classic sandwich topping with an excellent creamy texture and skilfully spiced. Ideal in a sandwich with some slices of pickled cucumber. It combines the health properties of millet and nutritional goose fat. 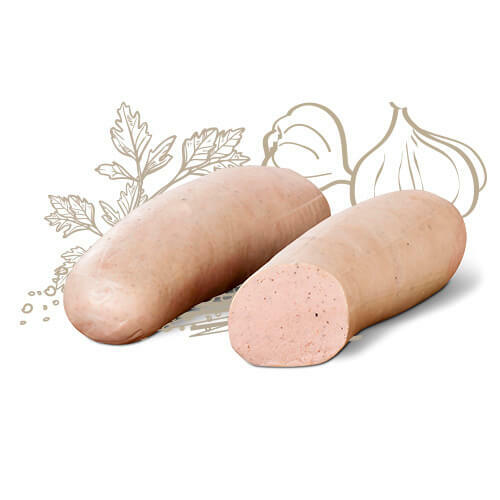 The addition of turkey liver as well as properly selected spices give it a unique flavour and aroma. It will do well as a cold snack or a warm dish. 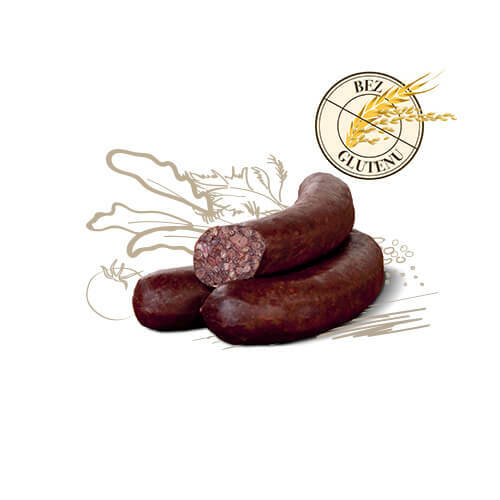 This excellent black pudding in a natural casing is made on the basis of barley. Skilfully seasoned with a blend of natural spices and herbs it makes a great warm dish. Served with sauerkraut it will taste even more delicious.